Another post in my Inglot eyeshadow swatch series. 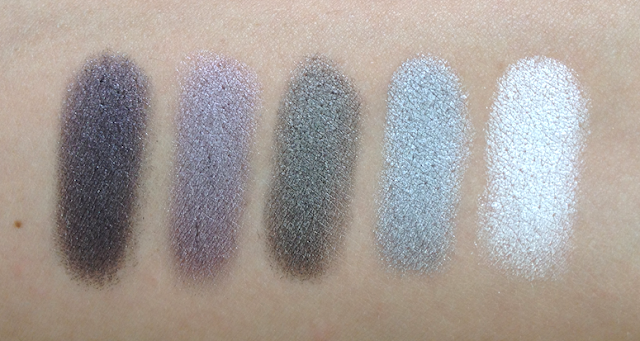 These eyeshadows can be purchased from Beautylish. AMC - textures range, but overall are supposed to be some of the most pigmented shades they offer. Shine - finely milled, buildable, with lovely sheen. Pearl - have anywhere from a light pearl, to a frosty, even metallic finish. Matte - completely matte, and incredibly pigmented and buttery for this type of finish. Easily one of the best matte textures on the market. Double Sparkle - tend to have a matte or satin base, with some very fine sparkle layered in. 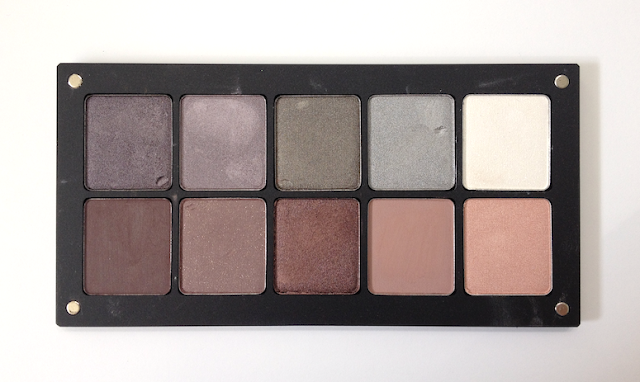 The following palette was my attempt at a "cool" neutral set. Mostly focused on greys and plumy taupes. All of the following swatches are on bare skin, as usual. Combo of indirect natural light and artificial light. 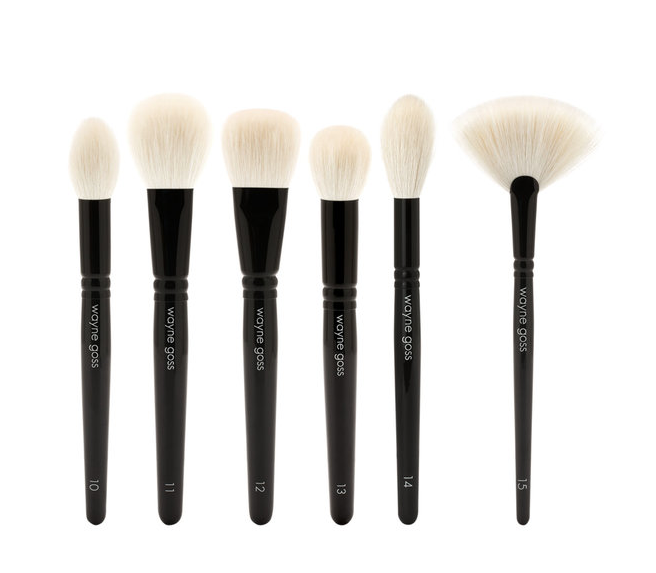 The top row: pearl 434, pearl 420, pearl 444, pearl 448, shine 35. Yeah. 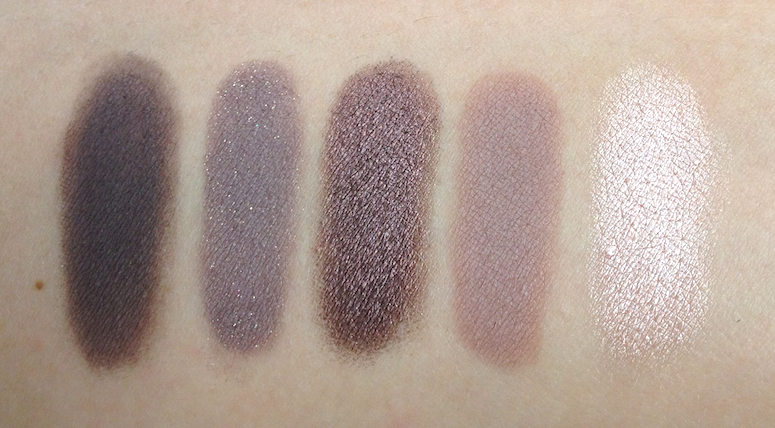 ALL of these are super-duper pigmented, dense and buttery, with the shine 35 being the sheerest as can be see in the full sunlight swatch. Pearl 434 and pearl 420 are my picks - both are incredibly beautiful plum-tone greys. Combo of natural and artificial light. Bottom row: matte 378, double sparkle 460, pearl 423, matte 344, pearl 397. 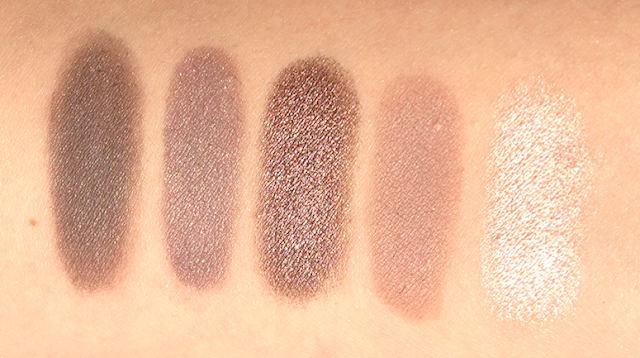 Both of the mattes here are fantastic. So dense you have to be careful how much you pick up. 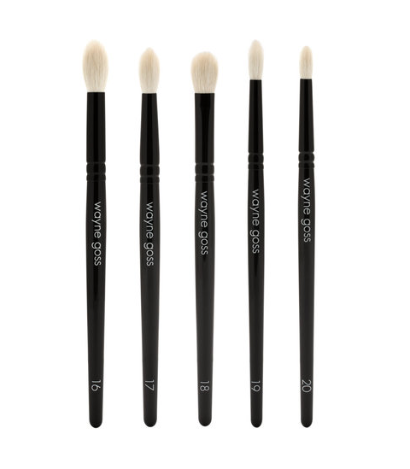 With a soft brush and a delicate hand, the matte 378 is amazing for the crease and outer V. The matte 344 is my choice for blending out a darker shade from the crease. The double sparkle 460 has a smoother, less dry texture than most of the other DS shades I own, and the micro-glitter is less apt to fall down during application. I was a little surprised by how pale the pearl 397 actually was when applied to the skin compared to its peachy appearance in the pan, but it makes for an excellent color to use on the inner corner of the eye. 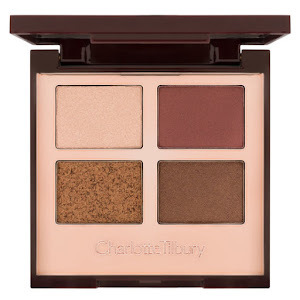 For cool-toned skin, I think these shades are stellar, and they can't be faulted for performance. 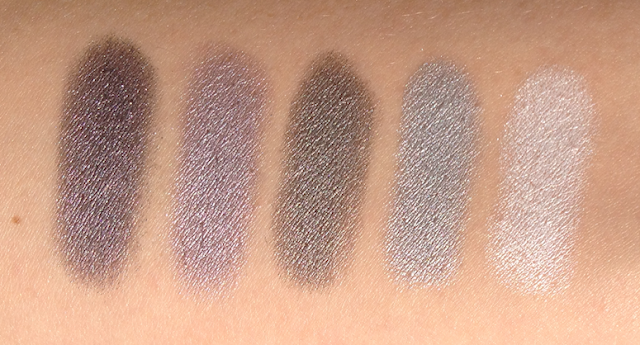 I have one more palette to swatch, but in the meantime - what do you guys think of the Inglot shadows so far? I love the look of matte 344. Beautiful crease shade. I really want to pick up some of these when I go to NYC. Thanks for all the excellent swatches Maggie! 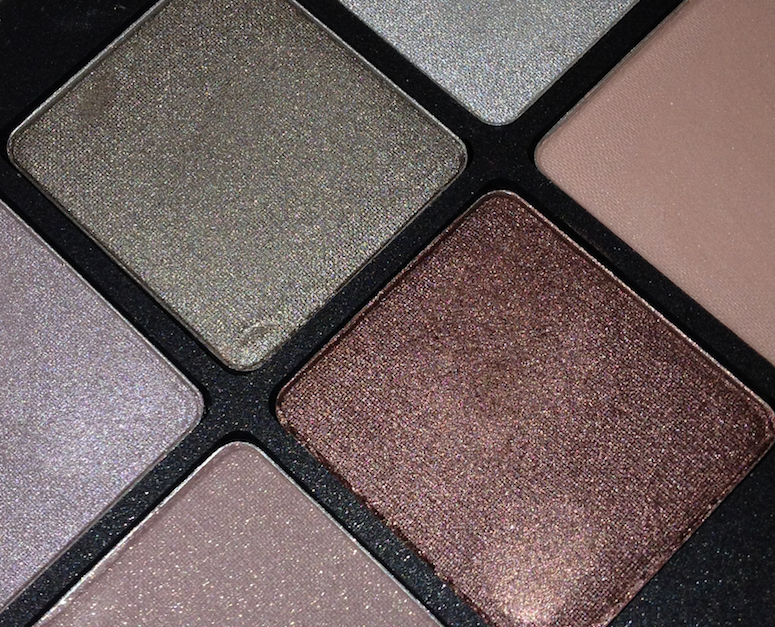 Will it be your first experience with Inglot? The Times Square store is really nice, though I picked most of these up at their booth at The Makeup Show, and that was pure insanity. It was even busier than the MUFE booth! I will resist this time but probably can't for much longer if you keep posting such fabulous swatches!! When I was living in Poland 6 years ago, obviously Inglot was all over the place, and I loved it - it was like a more cost-effective MAC (at least at the time and in that location). But I'd never heard of the brand before then, so it's been so strange to me that in the past couple years everyone's been talking about it - the few shades I bought then I have long since given away, but I think I'm going to have to pick up some more! 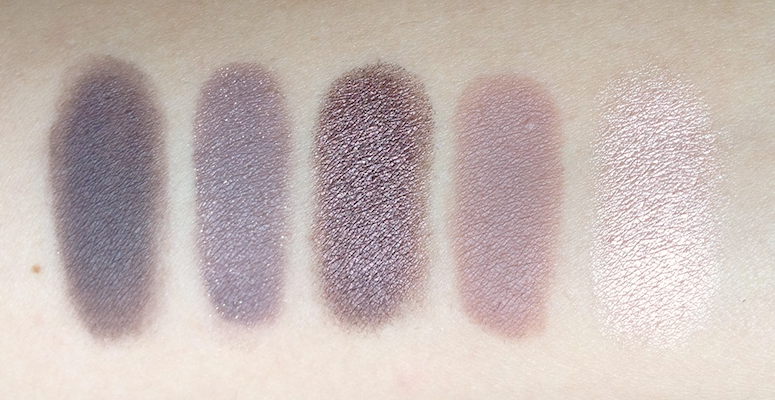 The pigmentation and shade selection never cease to amaze me.